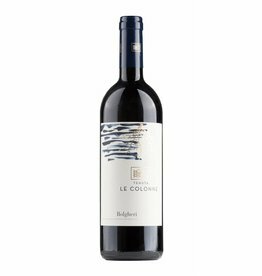 The Tenuta le Colonne in Bolgheri belongs to the Alejandro Bulgheroni Family Vineyards (ABFV), which cultivate first-class vineyards in the most important subregions of Tuscany. Highest standards of quality and an elegant wine style are the goals of the still young winecompany, which the oenologist Alberto Antonini is rresponsible for. In addition to the white Vermentino grape, the red varieties Cabernet Sauvignon, Cabernet Franc and Merlotgrow here and are blended to supple and elegant red wines, the Cabernet Franc plays an unusually large role here.